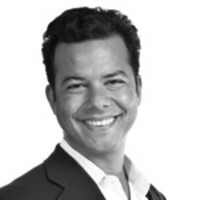 John Avlon on why we need to fire the jokers who’d rather take a break than fix problems. Five full weeks of summer vacation have just begun for members of Congress. That’s after nine full weeks off so far this year—and the House gets six more away before the election. All that time off, a sweet health-care plan, and quasi-fame as well. Is this a good gig or what? But most folks only take time off when they get their job done—and that definitely isn’t the case for the 112th Congress. While Midwest farmers suffer through the worst drought in decades, the House left a bipartisan farm bill passed by the Senate sitting on the table. Certainly, there’s room for improvement in that traditionally pork-filled appropriation bill. But make the improvements and pass the damn bill—the all-or-nothing tug-of-war between the perfect and the good doesn’t help people who need it now. Even more resonant to anyone who uses the post office (which is just about everyone) is the fact that our once-proud USPS is about to default on a $5.5-billion payment. This has been a slow-motion implosion, and the Senate got its act together to pass a bipartisan bill months ago that would help avoid default. But the House had different priorities. Instead, the chamber found time to rename 60 post-office branches and attempted to repeal the health-care law for the 33rd time. It’s hard to tell whether this is just lazy or malevolent, but small-government advocates of gridlock are going to have a hard time explaining to people on Main Street how maintaining the post office isn’t an essential role of government. Reform is the opposite of inaction. If these bipartisan bills that passed the Senate are in need of fixing, then fix ’em—or take responsibility for the looming failure. Of course, the Senate has its own embarrassments to be held accountable for—and I’m not just talking about Harry Reid invoking Romney’s dad in a cheap campaign attack. The fact that Senate Republicans filibustered a bipartisan attempt to pass a cyber-security bill is not just an indignity, but a dereliction of duty. We can’t wait for a digital Pearl Harbor to take this 21st-century threat seriously, but the siren song of special interests once again distracted from the national interest. The fact that some senators treated the amendment process as a Christmas tree for their own priorities (like Sen. Chuck Schumer, who attached a post-Aurora gun-control provision onto the bill) also didn’t help the prospects of passage. But this epic failure could have serious national-security consequences. Speaking of national security, talk about avoiding the sequestration—that “fiscal cliff” of budget cuts set to kick in early next year—has taken up much of the energy of this Congress in recent days, especially (and ironically) from fiscal conservatives like Rep. Jeb Henserling, who co-chaired the Super-Fail committee that led directly to the imposition of the cuts. At issue now is the $500 billion of defense cuts that were paired with domestic discretionary cuts to make this hatchet job so unpalatable. But when the House Armed Services Committee actually appropriates more money than the Pentagon is asking for (for a tank they don’t want, but defense contractors do) it’s hard to take their alleged quest for fiscal discipline seriously. The fact that the House GOP passed an alternative bill to pass all the sequester cuts onto entitlements only adds insult to the injury. If Congress is truly concerned about the looming fiscal cliff or the impact of the sequestration cuts on defense, they should damn well do something about it. No one else in the country gets to avoid doing their job because of the rationalization that nothing is likely to get done until after the election. We all know that a balanced plan—like Bowles-Simpson, with spending cuts, revenue increases, and entitlement reform—is needed to deal with deficits and debt. Hoping for an ideological Armageddon of an election isn’t going to change that. All of which is to say that this Congress seems determined to deserve their rock-bottom approval ratings. There are honorable exceptions—particularly the House members from both parties who rationally argued that they hadn’t earned their summer break just yet. He’s right. And there’s no rational reason to expect that it’s going to get better in the near future. The polarization of the parties has empowered all-or-nothing absolutists, particularly on the Republican side of the aisle. That’s why Congress is in serious need of fundamental rules reform, like forcing senators once again to enact a filibuster in person on the floor, rather than have it be a routine parliamentary maneuver. Hyperpartisan politics and election-driven self-interest keep getting in the way of actually governing in the national interest. A quick flip through a history book shows that divided congresses don’t need to be this dysfunctional—but the play-to-the-base jokers in this congressional class would rather splash around on summer vacation than do their job. Fiddling while Rome burned at least provided background music. If members of Congress don’t feel the urgency to work together to solve the urgent problems we all face, then there is a solution: fire them in the fall so they can enjoy a permanent vacation.